Plovdiv (Bulgarian: Пловдив, ['pɫovdif]) is the second-largest city in Bulgaria, with a population of 341,567 inhabitants as of 2015, while 675,586 live in its metro area. It is an important economic, transport, cultural, and educational center. Plovdiv has evidence of habitation since the 6th millennium BC when the first Neolithic settlements were established. It is said to be one of the oldest cities in Europe. Plovdiv was known in the West for most of its recorded history by the name Philippopolis (Greek: Φιλιππούπολις; Turkish: Filibe; "Philip's Town") as Philip II of Macedon conquered it in the 4th century BC and gave his name to it. The city was originally a Thracian settlement, later being invaded by Persians, Greeks, Celts, Romans, Goths, Huns, Bulgarians, Slav-Vikings, Crusaders and Turks. On 4 January 1878, Plovdiv was liberated from Ottoman rule by the Russian army. It remained within the borders of Bulgaria until July of the same year, when it became the capital of the autonomous Ottoman region of Eastern Rumelia. In 1885, Plovdiv and Eastern Rumelia joined Bulgaria. Plovdiv is situated in a fertile region of south-central Bulgaria on the two banks of the Maritsa River. The city has historically developed on seven syenite hills, some of which are 250 metres (820 feet) high. Because of these hills, Plovdiv is often referred to in Bulgaria as "The City of the Seven Hills". Plovdiv is host to a huge variety cultural events such as the International Fair Plovdiv, the international theatrical festival "A stage on a crossroad", the TV festival "The golden chest" and many recent popular festivals, such as Night/Plovdiv in September, Kapana Fest and Opera Open. There are many remains preserved from antiquity such as the ancient Plovdiv Roman theatre, Roman odeon, Roman aqueduct, Roman Stadium, the archaeological complex Eirene, and others. The oldest American educational institution outside the United States was founded in Plovdiv in 1860, which was later moved to Sofia – today's American College of Sofia. On 5 September 2014, Plovdiv was selected as the Bulgarian host of the European Capital of Culture 2019. This happened with the help of the Municipal Foundation "Plovdiv 2019″ - a non-government organization which was established in 2011 by Plovdiv's City Council. The main objectives were to develop and to prepare Plovdiv's bid book for European Capital of Culture in 2019. The organization has a board of directors, which consists of 9 members and an Executive Director. The foundation also has a Public Council, chaired by the mayor of the city, and a Control Board supervises the organization's activities. The main objective of the foundation is strategic development and implementation of the bid book. The slogan of the campaign is "Plovdiv Together"
Plovdiv was given various names throughout its long history. Some names are suggestive. The Odrysian capital Odryssa (Greek: ΟΔΡΥΣΣΑ, Latin: ODRYFA) is suggested to have been modern Plovdiv by numismatic research or Odrin. Theopompus mentioned in the 4th century BC a town by the name Poneropolis (Greek: ΠΟΝΗΡΟΠΟΛΙΣ "town of villains") in pejorative relation to the conquest by king Philip II of Macedon, who is said to have settled 2000 men, false-accusers and witnesses, sycophants, lawyers, and other possible bad men. According to Plutarch, the town began to be called so by this king after he had peopled it with a crew of rogues and vagabonds, but this is possibly a semi-legendary name that actually did not exist, as well as the names Dulon polis (Greek: ΔΟΥΛΩΝ ΠΟΛΙΣ "slaves' town") and possibly Moichopolis (Greek: ΜΟΙΧΟΠΟΛΙΣ "adulterer's town"). The city have been called Philippopolis (ΦΙΛΙΠΠΟΠΟΛΙΣ pronounced [pilpopolis]; Modern Greek: Φιλιππούπολη, Philippoupolipronounced [filpupoli]) or "the city of Philip", from Greek Philipos "horselover", most likely in honor of Philip II of Macedon possibly after his death or in honor of Philip V, as it was first attested in the 2nd century BC by Polybius in connection with the campaign of Philip V. Philippopolis was identified later by Plutarch and Pliny as the former Poneropolis. Strabo identified Philip II's settlement of most "evil, wicked" (ponerotatus) as Calybe (Kabyle), whereas Ptolemy considered the location of Poneropolis different than the rest. Kendrisia (Greek: ΚΕΝΔΡΕΙϹΕΙΑ) was an old name of the city. It is attested earliest on an artifact, mentioning that king Beithys, priest of the Syrian goddess, brings gift to Kendriso Apollo; the deity is recorded to be named multiple times after different cities. Later Roman coins mentioned the name, which is possibly derived from Thracian god Kendriso equated with Appolo, cedar forests, which ancient writers mentioned, or from Thracian tribe from artifacts - kendrisi. An assumed name is the 1st century Tiberias in honor of the Roman emperor Tiberius, under whom the Odrysian Kingdom was a client of Rome. After the Romans had taken control of the area, the city was named in Latin: TRIMONTIUM, meaning "The Three Hills", mentioned in the 1st century by Pliny. At times the name was Ulpia, Flavia, Julia after the Roman families. Ammianus Marcellinus wrote in the 4th century that the then city had been the old Eumolpias/Eumolpiada (Latin: EVMOLPIAS, EVMOLPIADA), i.e. the earliest name in chronological terms. It was named after the mythical Thracian king Eumolpos, son of Poseidon or Jupiter in mythology, who may have founded the city around 1200 BC or 1350 BC, or after the Vestal Virgins in the temples - evmolpeya. In the 6th century Jordanes wrote that the former name of the city was Pulpudeva (Latin: PVLPVDEVA) and that Philip the Arab named the city after himself. The latter name is most likely a Thracian oral translation of the other as it kept all consonants of the name Philip + deva (city), nevertheless the two names sounding similar, may not share the same origin as Odrin and Adrianople do not, and Pulpudeva may have predated the other name meaning "lake city" in Thracian. Since the 9th century the Slavic name began to appear as Papaldiv/n Plo(v)div, Pladiv, Pladin, Plapdiv, Plovdin, which evolved from a Thracian variant Pulpudeva. As a result, the name have lost any meaning. In British English the Bulgarian variant Plòvdiv have become prevalent after World War I. The Crusaders mentioned the city as Prineople, Sinople and Phinepople. The Ottomans called the city Filibe, a corruption of "Philip", attested first in a document of 1448. Plovdiv is on the banks of the Maritsa river, southeast of the Bulgarian capital, Sofia. The city is in the southern part of the Plain of Plovdiv, an alluvial plain forming the western portion of the Upper Thracian Plain. The heights of Sredna Gora rise to the northwest, to the east are the Chirpan Heights, and the Rhodope mountains surround the plain from the south. The city had originally developed to the south of Maritsa, and expanded across the river only within the last 100 years. Modern Plovdiv covers an area of 101 km2 (39 sq mi), which is less than 0.1% of Bulgaria's total area. This makes Plovdiv the most densely populated city in the country with 3,769 inhabitants per km². Inside the city proper are six syenite hills. At the beginning of the 20th century, there used to be seven of them, but one (Markovo tepe) was destroyed. Three of them are called the Three Hills (Bulgarian: Трихълмие Trihalmie), the others are called the Hill of the Youth (Bulgarian: Младежки хълм, Mladezhki halm), the Hill of the Liberators (Bulgarian: Хълм на освободителите, Halm na osvoboditelite) and the Hill of Danov (Bulgarian: Данов хълм, Danov halm). Plovdiv has a humid subtropical climate (Köppen climate classification Cfa) with considerable humid continental influences. There are four distinct seasons, with large temperature jumps between seasons being common. Summer (mid May to late September) is hot, moderately dry, and sunny with a July and August maximum average of 33 °C (91 °F). Plovdiv sometimes experiences very hot days which are typical in the interior of the country. Summer nights are mild. Autumn starts in late September; days are long and relatively warm in early autumn. The nights become chilly by September. The first frost occurs on average by November. Winter is normally cold and snow is common. The average number of days with snow cover in Plovdiv is 15. The average depth of snow cover is 2 to 4 cm (1 to 2 in) and the maximum is normally 6 to 13 cm (2 to 5 in), but in some winters it can reach 70 cm (28 in) or more. Average January temperature is −0.4 °C (31 °F). Spring arrives in March but that season is cooler than autumn. The frost season ends in March. The days are mild and relatively warm in mid spring. The average relative humidity is 73%, being highest in December, with 86%, and lowest in August, with 62%. The total precipitation is 540 mm (21.26 in) and is fairly evenly distributed throughout the year. The wettest months of the year are May and June, with an average precipitation of 66.2 mm (2.61 in), while the driest month is August, with an average precipitation of 31 mm (1.22 in). Gentle winds (0 to 5 m/s) are predominant in the city with wind speeds of up to 1 m/s, representing 95% of all winds during the year. Mists are common in the cooler months, especially along the banks of the Maritsa. On average there are 33 days with mist during the year. The history of Plovdiv spans more than eight millennia. The numerous nations that lived here have left their traces on the twelve-metre-thick (39-foot) cultural layers of the city. The earliest signs of habitation on the territory of Plovdiv date as far back as the 6th millennium BC. Plovdiv has settlement traces including necropolises dating from the Neolithic, roughly 6000-5000 BC, like the mounds Yasa Tepe 1 in Philipovo district and Yasa Tepe 2 in Lauta park. Archaeologists have discovered fine pottery and objects of everyday life on Nebet Tepe from as early as the Chalcolithic, showing that at the end of the 4th millennium BC, there already was an established settlement there which was continuously inhabited since then. Thracian necropolises dating back to the 2nd-3rd millennium BC have been discovered, while the Thracian town was established between the 2nd and the 1st millennium BC. The town was a fort of the independent local Thracian tribe Bessi. In 516 BC during the rule of Darius the Great, Thrace was included in the Persian empire. In 492 BC the Persian general Mardonius subjected Thrace again, and it became nominally a vassal of Persia until 479 BC and the early rule of Xerxes I. The town was included in the Odrysian kingdom (460 BC-46 AD), a Thracian tribal union. The town was conquered by Philip II of Macedon and the Odrysian king was deposed in 342 BC. Ten years after the Macedonian invasion the Thracian kings started to exercise power again after the Odrysian Seuthes III had re-established their kingdom under Macedonian suzerainty as a result of a somehow successful revolt against Alexander the Great's rule resulting in neither victory, nor defeat, but stalemate. The Odrysian kingdom gradually overcome the Macedonian suzerainty, while the city was destroyed by the Celts as part of the Celtic settlement of Eastern Europe, most likely in the 270s BC. In 183 BC Philip V of Macedon conquered the city, but shortly after the Thracians re-conquered it. In 72 BC the city was seized by the Roman general Marcus Lucullus but was soon restored to Thracian control. In AD 46 the city was finally incorporated into the Roman Empire by emperor Claudius; it served as metropolis (capital) of the province of Thrace and gained a city status in the late 1st century. Trimontium was an important crossroad for the Roman Empire and was called "the largest and most beautiful of all cities" by Lucian. Although it was not the capital of the Province of Thrace, the city was the largest and most important centre in the province. As such the city was the seat of the Union of Thracians. In those times, the Via Militaris (or Via Diagonalis), the most important military road in the Balkans, passed through the city. The Roman times were a period of growth and cultural excellence. The ancient ruins tell a story of a vibrant, growing city with numerous public buildings, shrines, baths, theatres, a stadium and the only developed ancient water supply system in Bulgaria. The city had an advanced water system and sewerage. In 179 a second wall was built to encompass Trimontium which had already extended out of the Three hills into the valley. Many of those are still preserved and can be seen by tourists. Today only a small part of the ancient city has been excavated. In 250 AD the whole city was burned down by the Goths, led by their ruler Cniva, and many of its citizens, according to Ammianus Marcellinus numbering 100,000, died or were taken captive. It took a century and hard work to recover the city. However, it was destroyed again by Attila's Huns in 441-442 and by the Goths of Teodoric Strabo in 471. The Slavs had fully settled in the area by the middle of the 6th century, peacefully as there are no any records for their attacks. With the establishment of Bulgaria in 681 Philippoupolis, the name of the city then, became an important border fortress of the Byzantine Empire. It was captured by Khan Krum in 812 but the region was fully incorporated into the Bulgarian Empire in 834 during the reign of Khan Malamir. It was reconquered by the Byzantine Empire in 855–856 for a short time until it was returned to Boris I of Bulgaria. From Philippoupolis the influence of dualistic doctrines spread to Bulgaria forming the basis of the Bogomil heresy. The city possibly remained in Bulgarian hands until 970. However, the city is described at the time of Constantine VII in the 10th century as being within the Byzantine province (theme of Macedonia). The historian John Fine describes Philippopolis as being a Byzantine possession at the time it was sacked by the ruler of Rus' Sviatoslav I of Kiev in 969 who impaled 20,000 citizens. Before and after the Rus' massacre, the city was settled by Paulician heretics transported from Syria and Armenia to serve as military settlers on the European frontier with Bulgaria. Aime de Varennes in 1180 encountered the singing of Byzantine songs in the city that recounted the deeds of Alexander the Great and his predecessors, over 1300 years before. Byzantine rule was interrupted by the Third crusade(1189-1192) when the army of the Holy Roman emperor Frederick Barbarossa conquered Philippopolis. Ivanko was appointed as the governor of the Byzantine Theme of Philippopolis in 1196, but between 1198 and 1200 separated it from Byzantium in a union with Bulgaria. The Latin Empire conquered Philippoupolis in 1204, and there were two short interregnum periods as the city was twice occupied by Kaloyan of Bulgaria before his death in 1207. In 1208 Kaloyan's successor Boril was defeated by the Latins in the Battle of Philippopolis. Under Latin rule, Philippopolis was the capital of the Duchy of Philippopolis, which was governed by Renier de Trit, later on by Gerard de Strem and was possibly at times a vassal of Bulgaria or Venice. Ivan Asen II conquered the duchy finally in 1230 but the city had possibly been earlier conquered. Afterwards Plovdiv was conquered by Byzantium, according to some information, by 1300 Plovdiv was a possession of Theodore Svetoslav of Bulgaria. It was conquered from Byzantium by George Terter II of Bulgaria in 1322. Andronikos III Palaiologos unsuccessfully besieged the city, but a treaty restored Byzantine rule once again in 1323. In 1344 the city and eight other cities were surrendered to Bulgaria by the regency for John V Palaiologos as the price for Ivan Alexander of Bulgaria's support in the Byzantine civil war of 1341–47. In 1364, the Ottoman Turks under Lala Shahin Pasha seized Plovdiv. According to other data, Plovdiv was not Ottoman until the Battle of Maritsa in 1371 following which the citizens and the Bulgarian army fled leaving the city without resistance. Refugees settled in Stanimaka. During the Ottoman Interregnum, in 1410 Musa Çelebi conquered the city killing and displacing inhabitants. In 1472 Filibe population consisted of 81.7% Muslims and 18.3% Christians, while in 1489 Muslims were 87.1%, Christians 8.25% and Gypsies 3.5%, while in 1516 Muslim, Christian, Gypsy and Jewish elements constituted 86.7%, 7%, 2.8%, 2.5% respectively, in 1525 the same elements were - 85.2%, 7.5%, 3.2%, 3%, in 1530 - 82.1%, 9.1%, 3.8%, 3.7%, in 1570 - 82%, 9.3%, 2.7%, 5.4%, in 1595 - 78.2%, 14%, 2.9%, 4.8%, in 1614 - 68.3%, 22.6%, 7.7%, 4.1% In 1490 the town numbered 796 Muslim, 78 Christian and 33 Gypsy households. In 1695 the Muslims numbered 1108 (81%) and the non-Muslims 259 people. The city was the centre of the Rumelia Eyalet between 1364–1443, a sanjak centre of it between 1443-1593, the sanjak centre in Silistra Eyalet between 1593-1826, the sanjak centre in Eyalet of Adrianople between 1826-1867 and the sanjak centre of Edirne Vilayet between 1867–1878. During that period Plovdiv was a major economic center along with Constantinople, Edirne and Thessaloniki. The richer citizens constructed beautiful houses many of which can still be seen in the Architectural reserve Old Plovdiv. Under the rule of the Ottoman Empire, Filibe (as the city was known at that time) was a focal point for the Bulgarian national movement and survived as one of the major cultural centers for Bulgarian culture and tradition. Filibe was described as consisting of Turks, Bulgarians, Hellenized Bulgarians, Armenians, Jews, Vlachs, Arvanites, Greeks and Roma people. In the 16-17 century a significant number of Sephardic Jews settled along with a smaller Armenian community from Galicia. The Paulicians adopted Catholicism or lost their identity. The abolition of Slavonic as the language of the Bulgarian Church as well as the complete abolition of the church in 1767 and the introduction of the Millet System led to ethnic division among people of different religions. Christian and Muslim Bulgarians were subjected to Hellenization and Turkification respectively. A major part of the inhabitants was fully or partly Hellenized due to the Greek patriarchate. The "Langeris" are described as Greeks from the area of the nearby Stenimachos. The process of Hellenization flourished until the 1830s, but declined with the Tanzimat as the idea of the Hellenic nation of Christians grew and was associated with ethnic Greeks. The re-establishment of the Bulgarian Church in 1870 was a sign of ethnic and national consciousness. According to provided records of the households and owners/renters in the central part of Plovdiv by the Bulgarian chronicler Genchev, in the 19th century, of 358 hoseholds/owners there were 141 (39.4%) Bulgarian, 94 (26.3%) Gulidas (Hellenized Bulgarains from Plovdiv), 41 (11.4%) Bulgarian parents with children Gulidas, 36 (10.1%) Langeris (Helllenized Bulgarians from Plovdiv's surroundings), 14 (3.9%) Greek from other parts of the Ottoman Empire, 12 (3.3%) Aromanian, 9 (2.5%) Bulgarian speaking Muslim, 7 (2%) Albanian; according to the Greek chronicler Lyberatos of 370 households 141 of the owners/households were Gudilas (38.1%), 118 (33.7%) were Bulgarian, 39 (10.5%) were Langeris, 20 (5.4%) Armenian, 14 (3.8%) Aromanian, 17 (4.6%) Greek from other parts of the Ottoman Empire, 8 (2.2%) Greek/Bulgarian, 6 (1.4%) Albanian, 5 (1.4%) Bulgarian speaking Muslim, 2 (0.5%) Karmanli. Thus, although there is a little doubt about the Bulgarian origin of the Gulidas, the city could be considered of Greek or Bulgarian majority in the 19th century, on whether the Gudilas were considered part of the one or the other community. Raymond Detrez has suggested that when the Gudilas and Langeris claimed to be Greek it was more in the sense of “Romei than Ellines, in a cultural rather than an ethnic sense”. According to the statistics by the Bulgarian and Greek authors there is no Turks in the city, according to an alternative estimate the city was of Turkish majority. Filibe had an important role in the struggle for Church independence which was according to some historians a peaceful bourgeois revolution. Filibe became the center of that struggle with leaders such as Nayden Gerov, Dr Valkovich, Joakim Gruev and whole families. In 1836 the first Bulgarian school was inaugurated and in 1850 modern secular education began when the "St Cyrill and Metodius" school was opened. On 11 May 1858 the day of Saints Cyril and Methodius was celebrated for the first time, this later became a National holiday which is still celebrated today (but on the 24th May due to Bulgaria's 1916 transition from the Old Style (i.e. Julian) to the New Style calendar, i.e. the Gregorian calendar). In 1858 in the Church of Virgin Mary the Christmas liturgy was served for the first time in the Bulgarian language since the beginning of the Ottoman occupation. Until 1906 there were Bulgarian and Greek bishops in the city. In 1868 the school expanded into the first grammar school. Some of the intellectuals, politicians and spiritual leaders of the nation graduated that school. The city was conquered by the Russians under Aleksandr Burago for several hours during the Battle of Philippopolis on January 17, 1878. It was the capital of the Provisional Russian Administration in Bulgaria between May and October. According to the Russian census of the same year Filibe had a population of 24,000 citizens, of which ethnic Bulgarians comprised 45.4%, Turks - 23.1% and Greeks - 19.9%. According to the Treaty of San Stefano on 3 March 1878 the Principality of Bulgaria included the lands with predominantly Bulgarian population. Plovdiv which was the biggest and most vibrant Bulgarian city was selected as a capital of the restored country and for a seat of the Temporary Russian Government. Great Britain and Austria-Hungary, however, did not approve that treaty and the final result of the war was concluded in the Congress of Berlin which divided the newly liberated country into several parts. It separated the autonomous region of Eastern Rumelia from Bulgaria and Plovdiv became its capital. The Ottoman Empire created a constitution and appointed a governor. In the spring of 1885 Zahari Stoyanov formed the Secret Bulgarian Central Revolutionary Committee in the city which actively conducted propaganda for the unification of Bulgaria and Eastern Rumelia. On 5 September several hundred armed rebels from Golyamo Konare (now Saedinenie) marched to Plovdiv. In the night of 5–6 September these men led by Danail Nikolaev took control of the city and removed from office the General-Governor Gavril Krastevich. A provisional government was formed led by Georgi Stranski and universal mobilization was announced. After the Serbs were defeated in the Serbo-Bulgarian War, Bulgaria and Turkey reached an agreement according to which the Principality of Bulgaria and Eastern Rumelia had a common government, Parliament, administration and army. Today 6 September is celebrated as the Unification Day and the Day of Plovdiv. After the unification, Plovdiv remained the second city in Bulgaria in population and significance after the capital Sofia. The first railway in the city was built in 1874 connecting it with the Ottoman capital, and in 1888 it was linked with Sofia. In 1892 Plovdiv became host of the First Bulgarian Fair with international participation which was succeeded by the International Fair Plovdiv. After the liberation the first brewery was inaugurated in the city. In the beginning of the 20th century Plovdiv grew as a significant industrial and commercial center with well-developed light and food industry. In 1927 the electrification of Plovdiv has started. German, French and Belgian capital was invested in the city in development of modern trade, banking and industry. In 1939 there were 16,000 craftsmen and 17,000 workers in manufacturing factories, mainly for food and tobacco processing. During the Second World War the tobacco industry expanded as well as the export of fruit and vegetables. In 1943 1,500 Jews were saved from deportation in concentration camps by the archbishop of Plovdiv, Cyril, who later became the Bulgarian Patriarch. In 1944 the city was bombed by British-American coalition. Tobacco Depot workers went on strike on May the 4th, 1953. On 6 April 1956 the first trolleybus line was opened and in the 1950s the Trimontsium Hotel was constructed. In the 1960s and 1970s there was a construction boom and many of the modern neighborhoods took shape. In the 1970s and 1980s antique remains were excavated and the Old Town was fully restored. In 1990 the sports complex "Plovdiv" was finished. It included the largest stadium and rowing canal in the country. In that period Plovdiv became the birthplace of Bulgaria's movement for democratic reform, which by 1989 had garnered enough support to enter government. Plovdiv has hosted specialized exhibitions of the World's Fair in 1981, 1985, and 1991. At the first census after the Liberation of Bulgaria in 1880 with 24,053 citizens Plovdiv is the second largest city behind Ruse, which had 26 163 citizens then, while the capital Sofia had 20 501 citizens then. As of the 1887 census Plovdiv was the largest city in the country for several years with 33,032 inhabitants compared to 30,428 for Sofia. According to the 1946 census Plovdiv was the second largest city with 126,563 inhabitants compared to 487,000 for the capital. In its ethnic character Plovdiv is the second or the third largest cosmopolitan city inhabited by Bulgarians after Sofia and possibly Varna. According to the 2001 census from population of 338 224 inhabitants the Bulgarians were 302 858 (90%). Stolipinovo in Plovdiv is the largest Roma neighbourhood in the Balkans, having a population of around 20,000 alone, further Roma ghettos are Hadji Hassan Mahala and Sheker Mahala. Therefore, the census number is a deflation of the number of Roma people and they are most likely the second largest group after the Bulgarians, most of all because the Muslim Roma in Plovdiv claim to be of Turkish ethnicity and Turkish-speaking at the census ("Xoraxane Roma"). For further information see the article Roma people in Plovdiv. Like elsewhere in the country, Roma people are subjected to discrimination and segregation (See the Bulgaria section of the article Antiziganism). After the Wars for National Union (Balkan Wars and World War I) the city became home for thousands of refugees from the former Bulgarian lands in Macedonia, Western and Eastern Thrace. Many of the old neighbourhoods are still referred to as Belomorski, Vardarski. Most of the Jews left the city after the foundation of Israel in 1948, as well as most of the Turks and Greeks. Prior to the population exchange, as of 1 January 1885, the city of Plovdiv had a population of 33,442, of which 16,752 were Bulgarians (50%), 7,144 Turks (21%), 5,497 Greeks (16%), 2,168 Jews (6%), 1,061 Armenians (3%), 151 Italians, 112 Germans, 112 Romani people, 80 French people, 61 Russians and 304 people of other nationalities. The vast majority of the inhabitants are Christians – mostly Eastern Orthodox — and there are Catholics, Eastern Catholics and Protestant trends (Adventists, Baptists and others). There are also some Muslims and Jews. In Plovdiv there are many churches, two mosques and one synagogue (see Plovdiv Synagogue). Plovdiv is the administrative center of Plovdiv Province, Municipality of Plovdiv, Maritsa municipality and Rodopi municipality. The mayor of the Municipality of Plovdiv, Ivan Totev, with the six district mayors represent the local executive authorities. The Municipal Council which consists of 51 municipal counselors, represents the legislative power and is elected according to the proportional system by parties' lists. The executive government of the Municipality of Plovdiv consists of a mayor who is elected by majority representation, five deputy mayors and one administrative secretary. All the deputy mayors and the secretary control their administrative structured units. According to the Law for the territorial subdivision of the Capital municipality and the large cities the territory of Plovdiv Municipality is subdivided into six district administrations, their mayors being appointed following approval by the Municipal Council. In 1969 the villages of Proslav and Komatevo were incorporated into the city. In 1987 the municipalities of Maritsa and Rodopi were separated from Plovdiv which remained their administrative center. In the last several years the inhabitants from those villages had taken steps to rejoin the "urban" municipality. The city has more than 200 archaeological sites, 30 of which are of national importance. There are many remains from antiquity – Plovdiv is among the few cities with two ancient theatres; remains of the medieval walls and towers; Ottoman baths and mosques; a well-preserved old quarter from the National Revival period with beautiful houses, churches and narrow paved streets. There are numerous museums, art galleries and cultural institutions. Plovdiv is host to musical, theatrical and film events. The city is a starting point for trips to places in the region, such as the Bachkovo Monastery at 30 km (19 mi) to the south, the ski-resort Pamporovo at 90 km (56 mi) to the south or the spa resorts to the north Hisarya, Banya, Krasnovo, Strelcha. The Ancient theatre (Antichen teatur) is probably the best-known monument from antiquity in Bulgaria. During recent archaeological survey, an inscription was found on a postament of a statue at the theatre. It revealed that the site was constructed at the 90s of the I century A.D. The inscription itself refers to Titus Flavius Cotis - the ruler of the ancient city during the reign of Emperor Domitian. The Ancient theatre is situated in the natural saddle between two of the Three Hills. It is divided into two parts with 14 rows each divided with a horizontal lane. The theatre could accommodate up to 7,000 people. The three-story scene is on the southern part and is decorated with friezes, cornices and statues. The theatre was studied, conserved and restored between 1968 and 1984. Many events are still held on the scene including the Opera Festival Opera Open, the Rock Festival Sounds of the Ages and the International Folklore festival. The Roman Odeon was restored in 2004. It was built in the 2nd–5th centuries and is the second (and smaller) antique theatre of Philipopolis with 350 seats. It was initially built as a bulevterion – edifice of the city council – and was later reconstructed as a theatre. The Ancient Stadium is another important monument of the ancient city. It was built in the 2nd century during the reign of the Roman Emperor Hadrian. It is situated between Danov Hill and one of the Three Hills, nowadays – beneath the main street from Dzhumaya Square to Kamenitsa Square. It was modeled after the stadium in Delphi. It was approximately 240 metres (790 feet) long and 50 metres (160 feet) wide, and could seat up to 30 000 spectators. The athletic games at the stadium were organised by the General Assembly of the province of Thrace. In their honour the royal mint of Philippopolis coined money featuring the face of the ruling emperor as well as the types of athletic events held in the stadium. Only a small part of the northern section with 14 seat rows can be seen today; the larger part lies under the main street and a number of buildings. The Roman forum dates from the reign of Vespasian in the 1st century and was finished in the 2nd century. It is near the modern post office next to the Odeon. It has an area of 11 hectares and was surrounded by shops and public buildings. The forum was a focal point of the streets of the ancient city. The Eirene Residence is in the southern part of the Three Hills on the northern part of an ancient street in the Archeological underpass. It includes remains of a public building from the 3rd–4th centuries which belonged to a noble citizen. Eirene is the Christian name for Penelopa – a maiden from Megadon who was converted to Christianity in the 2nd century. There are colourful mosaics which have geometrical forms and figures. On Nebet hill are the remains of the first settlement which in 12th century BC grew to the Thracian city of Eumolpias, one of the first cities in Southeastern Europe. Massive walls surrounding a temple and a palace have been excavated. The oldest part of the fortress was constructed from large syenite blocks – the so-called "cyclopean construction". The Archaeological Museum was established in 1882 as the People's Museum of Eastern Rumelia. In 1928 the museum was moved to a 19th-century edifice on Saedinenie Square built by Plovdiv architect Josef Schnitter. The museum contains a rich collection of Thracian art. The three sections "Prehistory", "Antiquity" and "Middle Ages" contain precious artifacts from the Paleolithic to the early Ottoman period (15th–16th centuries). The famous Panagyurishte treasure is part of the museum's collection. The Historical Museum of Plovdiv was founded in 1951 as a scientific and cultural institute for collecting, saving, and researching historical evidence about Plovdiv and the region from 16th to 20th centuries. The exhibition is situated in three buildings. The Regional Ethnographic Museum – Plovdiv was inaugurated in 1917. On 14 October 1943 it was moved to a house in the Old Town. In 1949 the Municipal House-museum was reorganized as a People's Ethnographic Museum and in 1962 it was renovated. There are more than 40,000 objects. The Museum of Natural Science was inaugurated in 1955 in the old edifice of the Plovdiv Municipality built in 1880. It is among the most important museums in the country with rich collections in its Paleontology, Mineralogy and Botanic sections. There are several rooms for wildlife and it contains Bulgaria's largest freshwater aquarium with 40 fish species. It has a collection of minerals from the Rhodope mountains. The Museum of Aviation was established on 21 September 1991 on the territory of the Krumovo airbase 12 km (7 mi) to the southeast of the city. The museum possesses 59 aircraft and indoor and outdoor exhibitions. 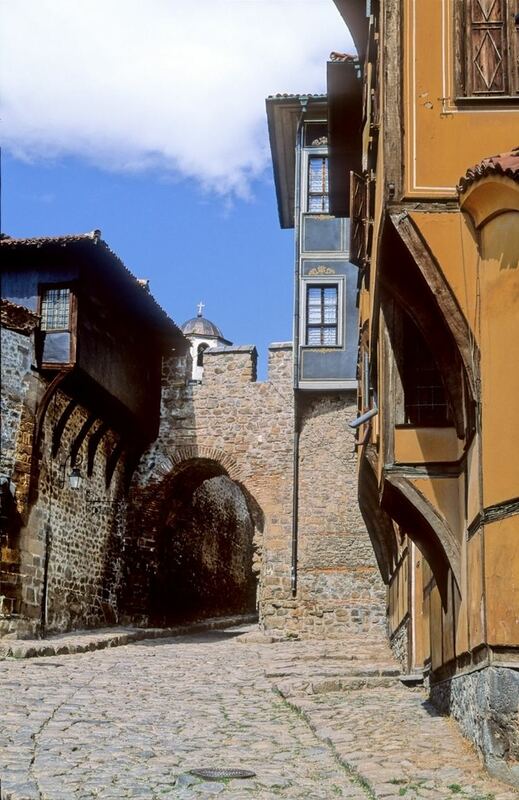 The Old Town of Plovdiv is a historic preservation site known for its Bulgarian Renaissance architectural style. The Old Town covers the area of the three central hills (Трихълмие, Trihalmie). Almost every house in the Old Town has its characteristic exterior and interior decoration. There are a number of 19th-century churches, most of which follow the distinctive Eastern Orthodox construction style. They are the Saint Constantine and Saint Helena, the Saint Marina, the Saint Nedelya, the Saint Petka and the Holy Mother of God Churches. As the city have been for a long period of time a gathering center for the Orthodox Christians Plovdiv is surrounded by several monasteries located at the foot of the Rhodope Mountains - like "St. George", "St Kozma and Damian", St Kirik and Yulita(Ulita). They keep a good examples of the late Middle Age Orthodox architecture as well some iconography masterpieces typical for the region. There are also Roman Catholic cathedrals in Plovdiv, the largest of them being the Cathedral of St Louis. There are several more modern Baptist, Methodist, Presbyterian, and other Protestant churches, as well as older style Apostolic churches. Two mosques remain in Plovdiv from the time of the Ottoman rule. The Djumaya Mosque is considered the oldest European mosque outside Moorish Spain. The Sephardic Plovdiv Synagogue is at Tsar Kaloyan Street 13, in the remnants of a small courtyard in what was once a large Jewish quarter. Dating to the 19th century, it is one of the best-preserved examples of the so-called "Ottoman-style" synagogues in the Balkans. According to author Ruth E. Gruber, the interior of the Plovdiv Synagogue is a "hidden treasure…a glorious, if run-down, burst of color." An exquisite Venetian glass chandelier hangs from the center of the ceiling, which has a richly painted dome. All surfaces are covered in elaborate, Moorish-style, geometric designs in once-bright greens and blues. Torah scrolls are kept in the gilded Aron-ha-Kodesh. The Plovdiv Drama Theatre is a successor of the first professional theatre group in Bulgaria founded in 1881. The Plovdiv Puppet Theatre, founded in 1948, remains one of the leading institutions in this genre. The Plovdiv Opera was established in 1953. Another pillar of Plovdiv's culture is the Philharmonic, founded in 1945. Soloists such as Dmitri Shostakovich, Sviatoslav Richter, Mstislav Rostropovich, Yuri Boukov and Mincho Minchev have worked with the Plovdiv Philharmonic. The orchestra has toured in almost all of the European countries. The Trakiya Folklore Ensemble, founded in 1974, has performed thousands of concerts in Bulgaria and more than 42 countries. The Trakiya Traditional Choir was nominated for a Grammy Award. The Detska Kitka Choir is one of the oldest and best-known youth choirs in Bulgaria, winner of numerous awards from international choral competitions. The Evmolpeya choir is another girls' choir from Plovdiv, whose patron when it was established in 2006 became the then mayor Ivan Chomakov. The choir was appointed a Goodwill Ambassador and a municipal choir. Plovdiv is among the nation's primary literary centres – in 1855 Hristo G. Danov created the first Bulgarian publishing company and later the first printing-press. The city's traditions as a literary centre are preserved by the first public library in Bulgaria, the Ivan Vazov National Library, by the 19 chitalishta (cultural centres) and by numerous booksellers and publishers. The library was founded in 1879 and named after the famous Bulgarian writer and poet Ivan Vazov who worked in Plovdiv for five years creating some of his best works. Today the Ivan Vazov National Library is the second largest national library institution with more than 1,5 million books, owning rare Bulgarian and European publications. The city has traditions in iconography since the Middle Ages. During the Period of National Revival a number of notable icon-painters (called in Bulgarian zografi, зографи) from all regions of the country worked in Plovdiv – Dimitar Zograf and his son Zafir Zograf, Zahari Zograf, Georgi Danchov and others. After the Liberation, the Bulgarian painter of Czech origin Ivan Mrkvička came to work in the city. The Painters' Society was established there by artists from southern Bulgaria in 1912, whose members included painters Zlatyu Boyadzhiev, Tsanko Lavrenov and Sirak Skitnik. Today the city has more than 40 art galleries, with most of them being privately owned. The Art Gallery of Plovdiv was founded in the late 19th century. It possesses 5,000 pieces of art in four buildings. Since 1981, it has had a section for Mexican art donated by Mexican painters in honour of the 1,300-year anniversary of the Bulgarian State. On 5 September 2014 Plovdiv was selected as Bulgarian host of European Capital of Culture in 2019. The city will co-host the event with Matera and another city (yet to be decided). 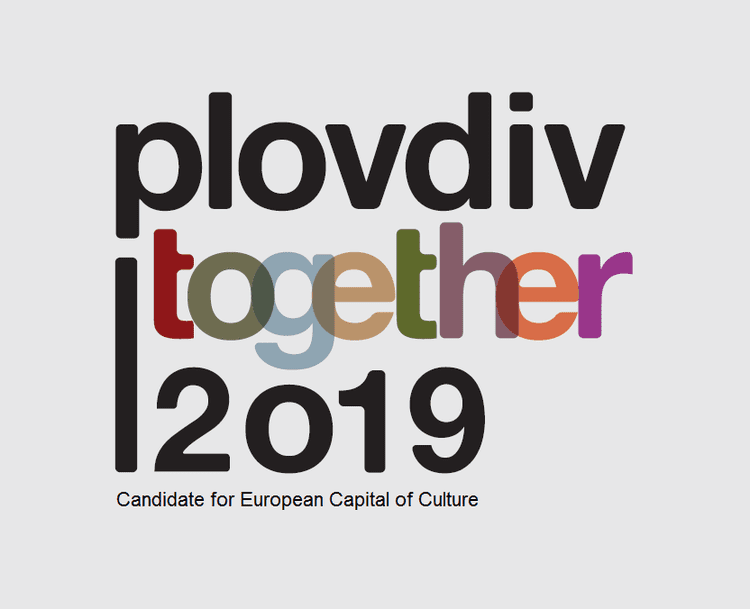 After Plovdiv was elected as European Capital of Culture in 2019, an ambitious cultural program has started its realisation. According to it in Plovdiv there will be an Island of Arts in the middle of the Maritsa River. The "Kapana" area (the "Trap") will become a quarter of the arts, where the creative industries are going to be developed and presented. This famous area, Kapana, was renovated in 2014, restoring its authentic outlook, and since then, the place has been used for number of festivals and art events, attracting visitors from all over Bulgaria and the world. For 2019 the City Under the Hills is planning a number of concerts, including "Balkan Music in Plovdiv".The city will host the Plovdiv Biennale and a number of international forums, such as a meeting of collectors from Europe, a summer art school, dance projects, etc. Located in the middle of a rich agricultural region, since the beginning of the 20th century Plovdiv grew as an industrial center. Food processing, tobacco, brewing and textiles were the main pillars of the industry. 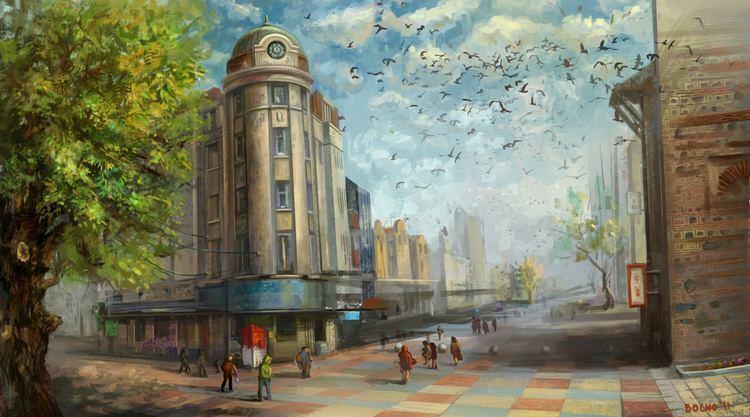 During Communist rule the city's economy greatly expanded and was dominated by heavy industry; it still produces lead and zinc, machinery, electronics, motor trucks, chemicals and cosmetics. After the fall of Communism in 1989 and the collapse of Bulgaria's planned economy, a number of industrial complexes were closed. Plovdiv has one of the country's largest economies, contributing for 7.5% of Bulgaria's GDP as of 2014. In 2014, more than 35 thousand companies operate in the region which create jobs for 285,000 people. The advantages of Plovdiv include the central geographic location, good infrastructure and large population. Plovdiv has international airport, terminal for intermodal transport, several connection with Trakia motorway (connecting Sofia and Burgas), proximity to Maritsa motorway (the main corridor to Turkey), well-developed road and rail infrastructure, leading to the development of the city as the leading city in terms of industrial output in Bulgaria. The economy of Plovdiv has long tradition in manufacturing, commerce, transport, communications and tourism. Apart from the industrial development of Plovdiv, there has been a significant surge in the IT and outsourcing service sector in the recent years, as well as a double digit increase in the tourism growth in the city every year for the past 5 years. Industry has been the sole leader in attracting investment. Industry has been expanding again since the late 1990s, with manufacturing plants built in the city or in its outskirts, mainly the municipality of Maritsa. In this period, some €500,000,000 has been invested in construction of new factories. Trakia Economic Zone which is one of the largest industrial zones in Eastern Europe, is located around Plovdiv. Some of the biggest companies in the region include the Austrian utility company EVN, PIMK (transport), Insa Oil (fuels), Liebherr (refrigerator plant), Magna International 9automotive industry), Bella Bulgaria (food manufacturing), Socotab (tobacco processing), ABB Group, Schneider Electric, Osram, Sensata Technologies, etc. The commercial sector is developing quickly. Shopping centers have been built mainly in the Central district and the district of Trakiya. Those include Shopping Center Grand, Market Center and two more all on the Kapitan Raycho Street, Forum in Trakiya, Excelsior and others. Plovdiv has three large shopping centers: malls – the €40 million Mall of Plovdiv (opened 2009) with a shopping area of 22,000 m2 (236,806.03 sq ft), 11 cinema halls and parking for 700 cars, €50 mln. Markovo tepe Mall (opened 2016), and Galeria Mall which is 6 stories high with 127 000 sq.m area, half of which is the parking lot and the rest is shopping area. Due to high demand for business office space new office and commercial buildings have been built. Several hypermarkets have been built mainly on the outskirts of the city: Metro, Kaufland, Triumf, Praktiker, Billa, Mr. Bricolage, Baumax, Technopolis, Technomarket Europa, and others. The main shopping area is the central street with its shops, cafés and restaurants. 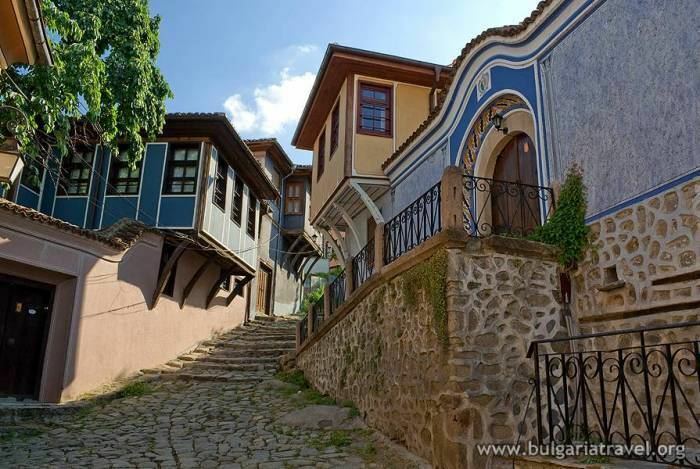 A number of cafés, craftsmen workshops and souvenir shops are in the Old Town and the small streets in the centre, known among the locals as "The Trap" (Bulgarian: Капана). The Plovdiv International Fair, held annually since 1892, is the largest and oldest fair in the country and all of southeastern Europe, gathering companies from all over the world in an exhibition area of 138,000 m2 (1,485,419.64 sq ft) located on a territory of 352,000 m2 (3,788,896.47 sq ft) on the northern banks of the Maristsa river. It attracts more than 600,000 visitors from many countries. The city has had a duty-free zone since 1987. It has a customs terminal handling cargo from trucks and trains. Plovdiv has a geographical position which makes it an international transport hub. Three of the ten Pan-European corridors run into or near the city: Corridor IV (Dresden–Bucharest–Sofia-Plovdiv- Istanbul), Corridor VIII (Durrës-Sofia-Plovdiv-Varna/Burgas) and Corridor X (Salzburg–Belgrade-Plovdiv-Istanbul). A major tourist centre, Plovdiv lies at the foot of the Rhodope Mountains, and most people wishing to explore the mountains choose it as their trip's starting point. The city is a major road and railway hub in southern Bulgaria: the Trakia motorway (A1) is only at 5 km (3 mi) to the north. It lies on the important national route from Sofia to Burgas via Stara Zagora. First-class roads lead to Sofia to the west, Karlovo to the north, Asenovgrad and Kardzhali to the south, Stara Zagora and Haskovo to the east. There are intercity buses which link Plovdiv with cities and towns all over the country and many European countries. They are based in three bus stations: South, Rodopi and North. Railway transport in the city dates back to 1872 when it became a station on the Lyubimets–Belovo railway line. There are railway lines to Sofia, Panagyurishte, Karlovo, Peshtera, Stara Zagora, Dimitrovgrad and Asenovgrad. There are three railway stations – Plovdiv Central, Trakia and Filipovo – as well as a freight station. Plovdiv has a large public transport system, including around 29 main and 10 extra bus lines. However, there are no trams in the city, and the Plovdiv trolleybus system was closed in autumn 2012. Six bridges span the Maritsa river including a railway bridge and a covered bridge. There are important road junctions to the south, southwest and north. The Plovdiv International Airport is near the village of Krumovo, 5 km (3 mi) southeast of the city. It takes charter flights from Europe and has scheduled services with Ryanair to London and Frankfurt-Hahn and S7 to Moscow. Many small airports are in the city's surroundings, including the Graf Ignatievo Air Base in Graf Ignatievo to the north of Plovdiv. The BIAF Airshow is held every two years on the Krumovo airbase, one of the biggest airshows in the Balkans. Around two thirds of the citizens (62,38%) have secondary, specialized or higher education. That percentage increased in the period from 1992 to 2001. Plovdiv has 78 schools including elementary, high, foreign language, mathematics, technical and art schools. There are also 10 private schools and a seminary. The number of pupils for 2005 was 36,964 and has been constantly decreasing since the mid-1990 due to lower birth rate. Among the most prestigious schools are the English Language School, the High School of Mathematics, the Ivan Vazov Language School, the National Schools of Commerce – Plovdiv, the English Academy, the Academy of Music, Dance and Fine Arts Plovdiv, and the French High School of Plovdiv. The city has six universities and a number of state and private colleges and branches of other universities. Those include Plovdiv University, with 900 lecturers and employees and 13,000 students; the Plovdiv Medical University, with 2,600 students; the Medical College; the Technical University of Sofia – Branch Plovdiv; the Agricultural University – Plovdiv; the University of Food Technologies; the Academy for Music, Dance and Fine Arts; and others. The 2009 International Olympiad in Informatics (IOI) was held at the University of Plovdiv "Paisiy Hilendarski", between 8 and 15 August 2009. The 2009 IOI Honorary Patron was Bulgarian President Georgi Parvanov. Between 1875 and 1906, the Zariphios School was one of the local Greek educational institutions that provided elementary and secondary education. Plovdiv Sports Complex consists of Plovdiv Stadium with several additional football fields, tennis courts, swimming pools, a rowing base with a 2 km-long channel, restaurants and cafés in a spacious park in the western part of the city, just south of the Maritsa river. There are also playgrounds for the children. It is popular among the citizens and guests of Plovdiv who use it for jogging, walking and relaxation. Plovdiv Stadium has 55,000 seats which makes it the largest football venue in Bulgaria. Other stadiums include Stadion Botev (under re-construction), Lokomotiv (10,000 seats), Maritsa Stadium (5,000 seats) and Todor Diev Stadium (7,000 seats). There are seven indoor sports halls: Kolodruma, University Hall, Olimpia, Lokomotiv, Dunav, Stroitel, Chaika, Akademik, Total Sport. In 2006, Aqualand, a water park, was opened near the city centre. Several smaller water parks are in the city as well. Football is the most popular sport in the city; Plovdiv has three professional teams. The city has PFC Botev Plovdiv, founded in 1912 and PFC Lokomotiv, founded in 1926. Both teams are a regular fixture in the top Bulgarian league. The rivalry between them is considered to be even more fierce than the one between Levski and CSKA of Sofia. There are two other football clubs in the city – Maritsa FC (founded in 1921) and Spartak Plovdiv (1947). Plovdiv is host of the international boxing tournament "Strandzha" which takes place since 1949. In 2007, 96 boxers from 20 countries participated in the tournament. There is a horse racing club and a horse base near the city. Plovdiv has several volleyball and basketball teams. Three of the city's seven hills are protected natural territories since 1995. Two of the first parks in Bulgaria are located in the city center – Tsar Simeon garden - city garden (where the very first work of the Italian sculptor Arnoldo Zocchi could be seen) and Dondukov garden - old city garden. Some of the larger parks include the Botanical garden, Beli Brezi, Ribnitsa and Lauta. Stoytcho Gotchev – most successful Bulgarian National Men's Gymnastics Captain of Olympic and World Championship teams. The asteroid (minor planet) 3860 Plovdiv is named after the city. It was discovered by the Belgian astronomer Eric W. Elst and the Bulgarian astronomer Violeta G. Ivanova on 8 August 1986. Plovdiv Peak (1,040 m or 3,412 ft) on Livingston Island in the South Shetland Islands, Antarctica, is also named after Plovdiv.